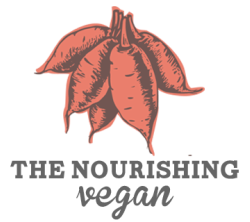 The Nourishing Vegan will no longer be serving NYC. Starting August 2017 I will be based in Los Angeles. I'll be offering cooking classes starting January 2018. Please subscribe to my "Sweet Potato Soul" newsletter to stay updated on offerings, updates, and recipes. Please visit my blog, Sweet Potato Soul for hundreds of delicious vegan recipes. You can also learn vegan cooking for free by subscribing to my Youtube channel.